‘Dream In Tongues’ offers up in many ways a fairly typical post-rock experience. Each track is dominated by guitar lines, backed up by drums, bass, more guitars and the odd sample here and there to keep it moving along and interesting. For the most part it all works well, and certainly comes across as stronger than a few other post-rock bands. Arms Of Tripoli demonstrate that they certainly have a lot of talent when it comes to their musical abilities, and they seem to push for everything they’ve got on many of the songs. There’s a few nice ideas here and there which makes ‘Dream In Tongues’ an enjoyable album for the most part. It seems though that for all the efforts Arms Of Tripoli have done for their latest album, there’s simply not enough that is really happening to make the album a great debut effort. Whilst Arms Of Tripoli’s more subtle approach to the post-rock genre is enjoyable in a few tracks, it does end up coming across as a little dull when used in every single track. The whole album comes across as a little lackluster in the end, as it never seems to truly take off and become its own album in its own right. 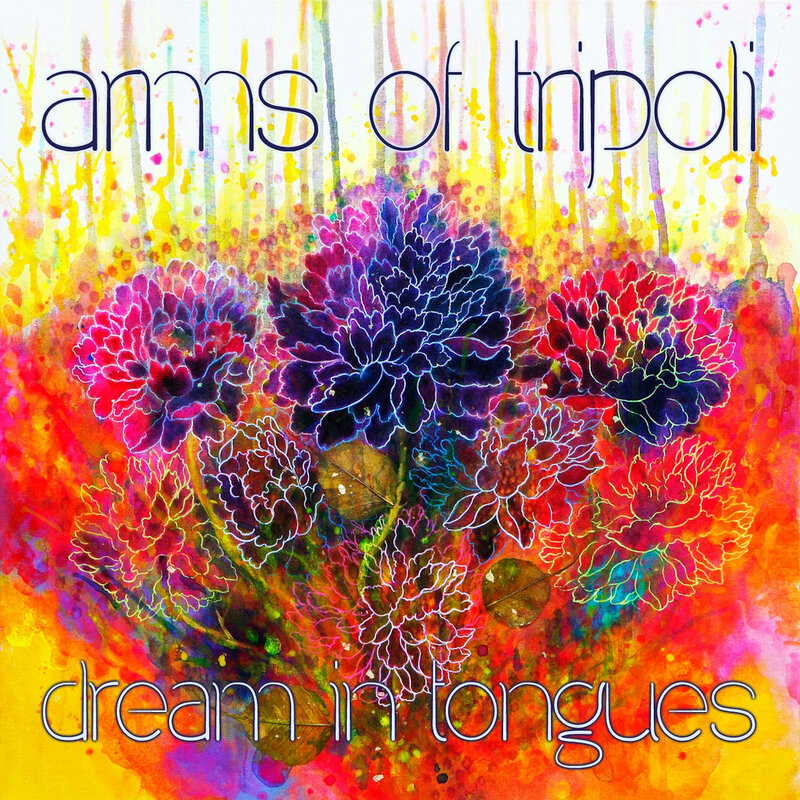 It seems Arms Of Tripoli simply haven’t done enough to make ‘Dream In Tongues’ the great album that it could be. There are a few enjoyable tracks on ‘Dream In Tongues’, which certainly do showcase their talent and style, suggesting they are capable of great music, but the whole album effort as a whole seems a little bit to thin on the ground for it to be truly great. There’s simply not enough happening in the album, as though Arms Of Tripoli have been so reserved that they’ve lost what makes the music truly their own. At times, ‘Dream In Tongues’ contains little hints that Arms Of Tripoli are capable of creating truly great music, and perhaps we’ll see that at some point in the future, once Arms Of Tripoli iron out their music. On ‘Morgan’, post-rock/shoe-gaze outfit Mayland go full-force with their branch of post-rock music, featuring fuzzy guitar chords and lead guitar lines to really push the music along at is slightly intense yet enjoyable pace. At times, Mayland go down a more shoe-gaze route of music, giving their music a little edge on their latest album effort. There’s many enjoyable elements on ‘Morgan’ which in some ways, isn’t a prime example of truly phenomenal instrumental rock music, but at the same time is inoffensive and enjoyable in its own rights. There’s a lot of elements that work nicely on ‘Morgan’, making it an album/EP effort that is worth checking out. The tracks are mainly dominated by incredibly fuzzy guitar chords that crash through the backing instrumentals and really push it along, before being accompanied by the customary lead guitar that often makes up instrumental rock music. For the most part, it’s all very enjoyable, with there being a constant intense feeling that really keeps everything interesting and drawn in. What doesn’t work on ‘Morgan’ is how Mayland don’t seem to have enough ideas in terms of having a diverse range of songs. Most tracks seem to follow a formulaic route of Mayland’s fuzzy guitar chords, which after a while can become a little boring as there’s nothing else on show here. At times, there’s some nice suggestions that there’s some really great creative ideas by Mayland, but it doesn’t seem to have been translated into all of their songs. It seems though that there’s enough ideas and talent from Mayland to make them a post-rock band that are worthy of listening to. Their most appealing element seems to be their technique of employing more shoe-gazing elements into their music, which for the most part works very well on ‘Morgan’, and at least sets it apart as being different from most post-rock albums. It just seems at times that Mayland need to really attempt to diversify their sounds to really make their music great. There’s enough on ‘Morgan’ to make it an album/EP that is worth checking out, though we can only hope that it’s not the only trick Mayland have up their sleeve. The fourth EP release by Italian post-rock artist The Absolute End Of The World expands upon their sound already established on the previous EP releases. ‘Whoami’ offers what could be described as an enjoyable and fun post-rock experience, where many of the typical post-rock techniques are used to present some very enjoyable and interesting tracks. As typical as some of the techniques are, The Absolute End Of The World manage to present a great EP that isn’t a rehashing of anything that has preceded them, but rather another version of post-rock music. ‘Whoami’ might be a short listening experience, but it is one that demonstrates a lot of the capabilities of the band, and certainly leaves a hunger for more. 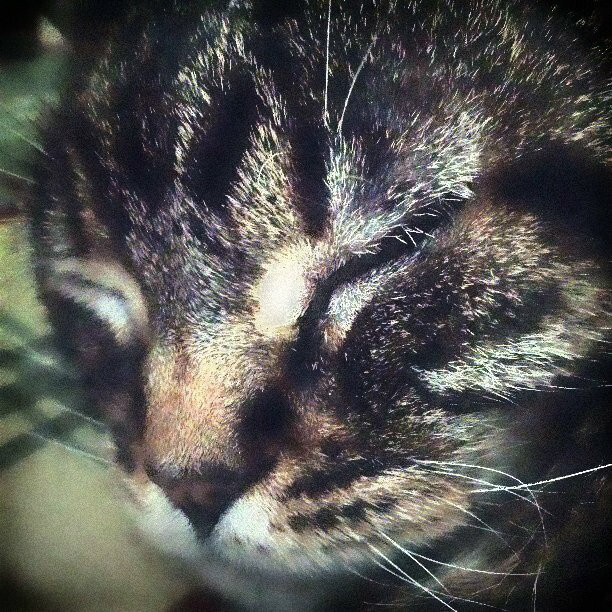 The Absolute End Of The World seem to follow down the path of many post-rock bands, using the now well-established techniques and ideas to present their own music. Unlike some other post-rock bands though, it doesn’t come across as a repeat of earlier music, but simply the artist’s own style of the clearly established genre. ‘Whoami’ features wonderful instrumentals that build up nicely, offering a brilliant musical experience. It’s interesting, and manages to keep the attention of the listener as it builds up and down varying dynamics of instrumentals. It’s highly enjoyable, and fans of the post-rock genre will certainly find a lot to enjoy from The Absolute End Of The World. It seems the only problems with ‘Whoami’ is that although it doesn’t simply repeat and copy earlier post-rock music, it sadly doesn’t do much to really push the boundaries of post-rock music. It seems a little like the artist is holding back ever so slightly, and not pushing himself to really present an incredible post-rock experience. This could be attributed to the fact that ‘Whoami’ is an EP release, and a somewhat short one at that. Perhaps The Absolute End Of The World are saving their best ideas and techniques for their debut album release, whenever that comes out. Those who enjoy post-rock music will certainly find a fair amount to be enjoyed by The Absolute End Of The World, who not only manage to demonstrate a brilliant understanding of the genre, but also manage to display a lot of talent on their latest EP. In many ways, although ‘Whoami’ sounds at times a little held back, the whole EP manages to not really do anything that is wrong, making ‘Whoami’ a very strong EP release. It certainly manages to build up buzz for the artist, as does all their previous EPs, and certainly builds up anticipation for a full album release, providing The Absolute End Of The World plan on releasing one. For now though, The Absolute End Of The World can be proud of the fact they’re producing great sounding EPs. It’s a strong year for post-rock music, where a number of very notable bands have all released incredibly strong albums. Adding to the list of new releases in post-rock music is 65daysofstatic, whose latest album ‘Wild Light’ follows on from their 2010 release of ‘We Were Exploding Anyway’. 65daysofstatic have always come across as one of the more heavier post-rock bands, indulging in the most loudest and perhaps insane of moments. It seems though the band is thinking of overall album structure though, with ‘Wild Light’ sounding like one of 65daysofstatic’s most complete sounding album so far in their career. There’s a lot to enjoy on ‘Wild Light’, which is simply pleasing to anyone who is a fan of post-rock music. 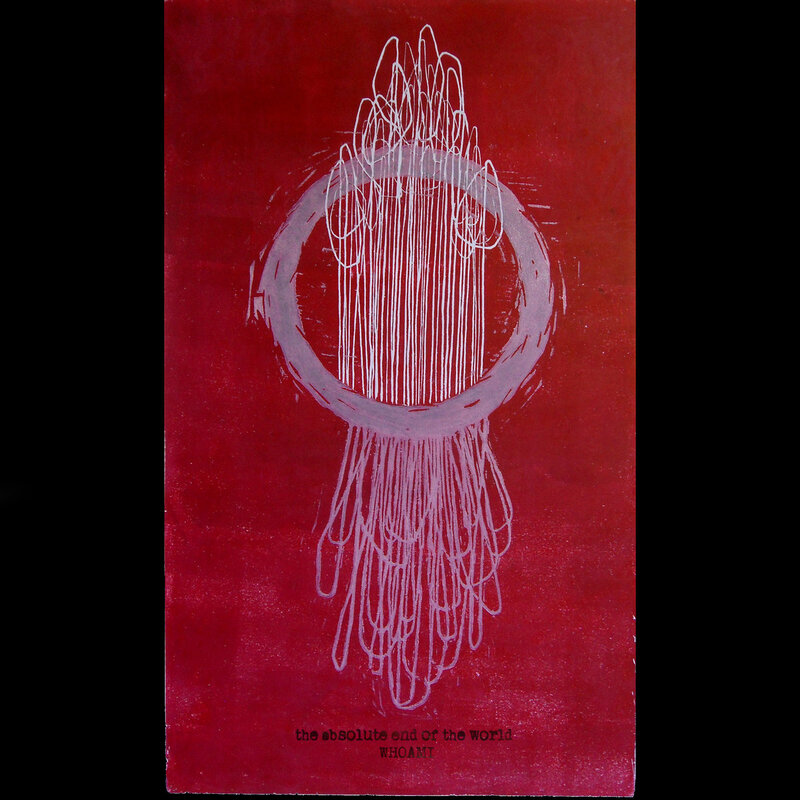 It features many of 65daysofstatic’s experimental ideas of incorporating electronic elements, as well as heavy elements deriving from thrash music. At times, it’s all somewhat typical 65daysofstatic music. The band though has incorporated some different dynamics into a few of the songs, which isn’t completely unknown of the band, but it certainly isn’t typical behavior of 65daysofstatic. A few of the songs are much more down-tempo and more chilled out, giving ‘Wild Light’ some fairly interesting dynamics as it progresses from track to track. It seems to me to be one of 65daysofstatic’s more complete sounding albums, where every song works well, and everything sounds very listenable. There’s a few songs which just resonate brilliantly, with some phenomenal moments that are very enjoyable to hard-core post-rock fans. I find the only problem with 65daysofstatic is that although it is certainly their style to be more loud than the average post-rock band, it can at times sound just a little bit overbearing. 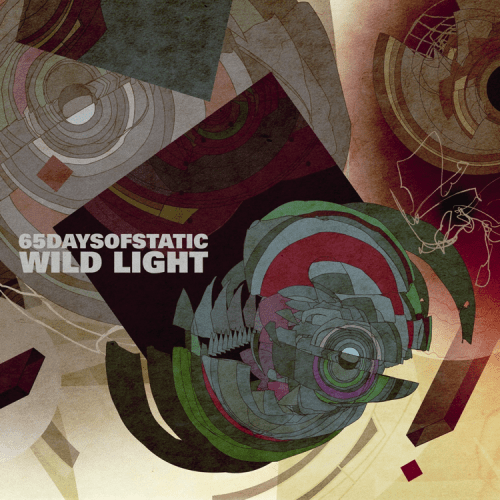 ‘Wild Light’ manages to sort this by having more diversity than previous 65daysofstatic albums, but it is still a bit overbearing at times, and a little hard to listen to. Another fault seems to be with the band’s experimental moments, which makes the album sound confusing to listen to. It is almost a throwback to experimental avante-garde post-rock band Fly Pan Am, whose albums featured many experimental moments that served to confuse the listener. 65daysofstatic seem to have gone down a slightly similar moment on a small number of the songs, but it doesn’t seem to work to well on the album. Overall though, I find that enough works on ‘Wild Light’ to make it one of 65daysofstatic’s more stronger albums. It seems the band is really pushing themselves from their early more math-rock years, in order to progress as a band and produce a better range of material. ‘Wild Light’ seems to sound everything like a 65daysofstatic album should do, but it also offers more by being a whole album package that just works. It’s another great post-rock album that gets to join alongside this year’s strongest releases in post-rock music, helping make 2013 one of the best years for post-rock music.